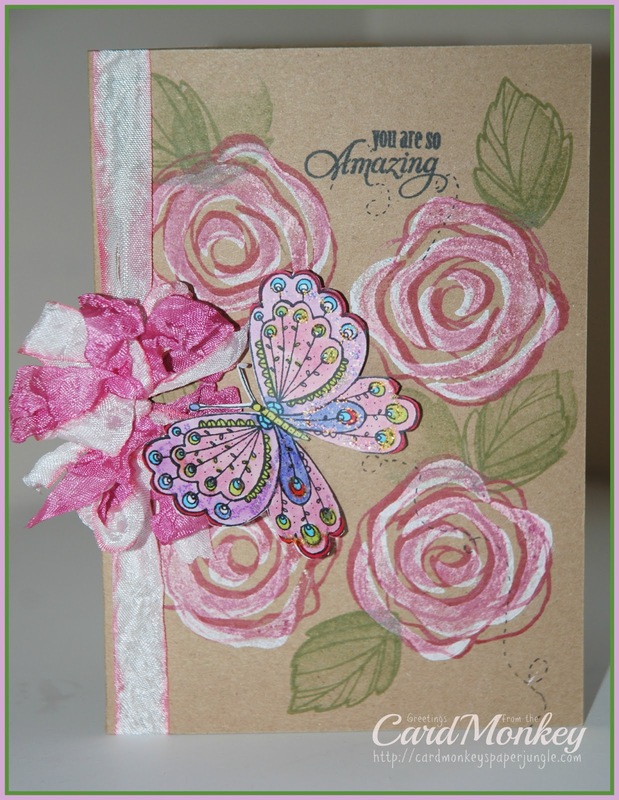 CardMonkey's Paper Jungle: "You Are Amazing" CTMH card, and CANDY winner!! Those who are my Facebook friends may have seen this card I posted there first. I made it using a sweet stamp set called "Love Blooms", from Close To My Heart, stamping the base images of the rose petals with CTMH White Daisy pigment ink onto kraft cardstock. I then stamped the rose petals atop the White Daisy ink, in Hollyhock ink, and also stamped the rose outline stamp atop that using the same Hollyhock. (It looks darker because there is no white underneath). The butterfly is from a stamped image swap I received from a Facebook friend, that I colored using Copic markers. The ribbon is the FABULOUS new "Rumple Ribbons" from LoveBug Creations. The white ribbon is edged in Panther Pink ... so pretty.... 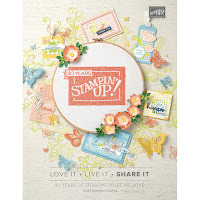 The sentiment stamp is from the "Just the Right Words" collection by Becca Feeken for Just Rite Stamps. Now that I am retired, I will be going back to being a consultant for Close To My Heart. 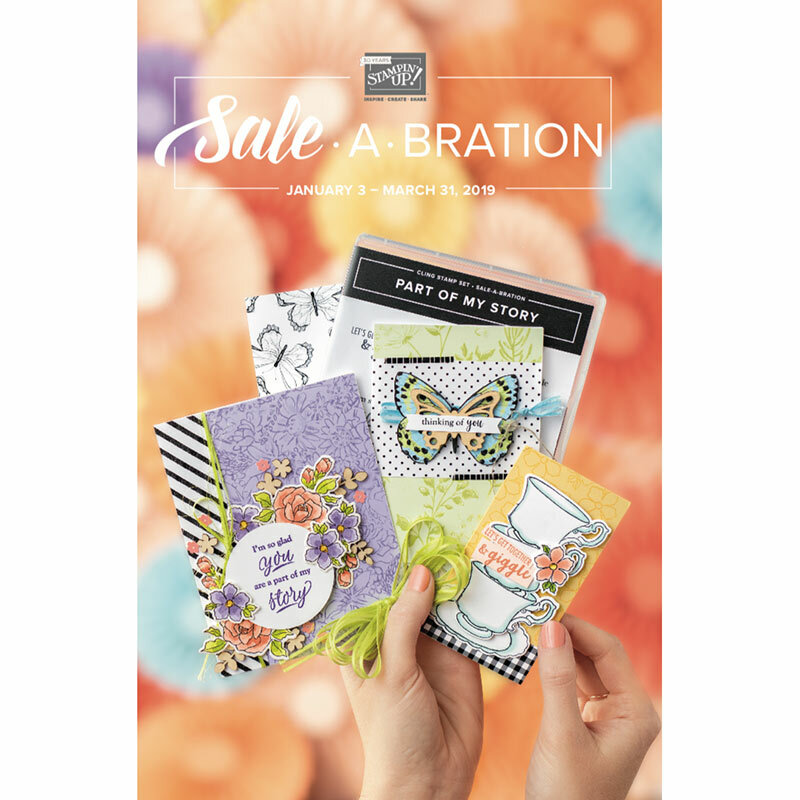 So if you're looking for this stamp set, beautiful pigment inks, kits, papers, or the EXCLUSIVE Cricut Artiste or Art Philosophy cartridges, I'd love to help you out! 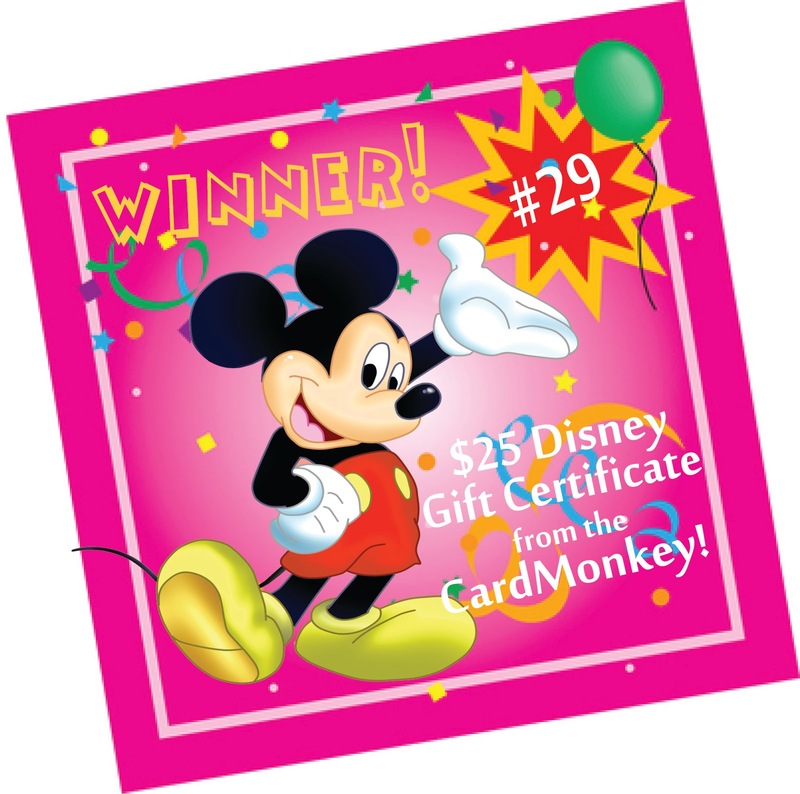 Congratulations to the winner of my blog candy, offered during this weekend's Disney Pixar Blog Hop. The prize is a $25 Disney Gift Card to use to shop, dine, stay, or play Disney! 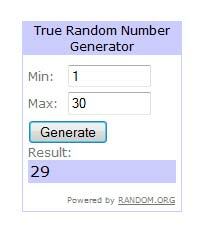 The winner was picked by Random.Org from the 30 unique comments left on my posting. "Love your Disney Dream Mini Album. Your Charlotte is Beautiful. My first memory was 101 dalmatians also. I love the puppies." Vickie, I left a message on your blog (and became your newest follower!). Please contact me privately by e-mail (to cardmonkey@comcast.net) with your mailing address. Congrats to the winner!! !A very Beautiful Card. your card is an eye catcher!! 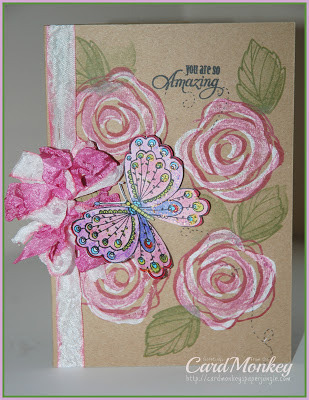 Congrats to the winner and I left a note about your pretty card on FB!